For anyone who doesn’t already know, Crisis is an annual wargaming show held in Antwerp, Belgium, organized by local gaming group The Tin Soldiers of Antwerp. It’s one of our favourite shows of the year, visitors are always treated to some great looking games, loads of traders (many of the big names from the UK, Belgium, German France and beyond) and a hearty welcome from the hosts. Exclusively for our Prime members, we have compiled three things from the show for your viewing pleasure 1) A look at seven new products released at the show 2) Photos of some of the the best tables 3) Videos of some of the best demo and participation games. Enjoy! Gringo 40’s cover a whole range of periods in both 28 and 40mm. The most recent is the Opium Wars of the 1860’s in 28mm, which includes some excellent British infantry in airpipe helmets. These are fantastic sculpts and are suitable for other conflicts, including the Abyssinian Campaign and the latter part of the Indian Mutiny. 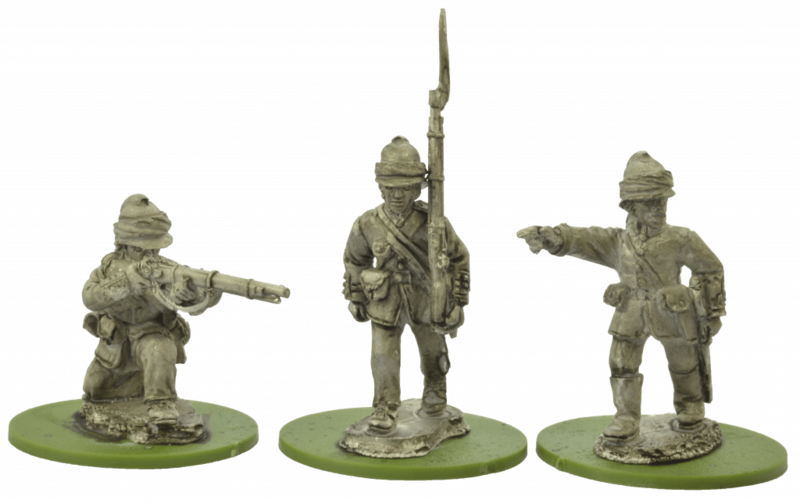 The Assault Group continues to add even more to their 28mm ranges. We have two of the most recent examples here. For the Renaissance period, we have a Landsknecht command set, with musicians, a commander and a standard bearer. The second set is for the Ultramodern range, a set of four diplomats and politicians who may bear some resemblance to past and present leaders. Our ‘sneak peek’ was for the Spitfyre game from this company. Based upon the historo-fantasy Weird War Panzerfauste universe, this 10mm sized game takes to the sky, allowing Dwarves, Orcs and more to engage in aerial combat. The ‘aircraft’ in this game are giant version of various real and fantasy creatures. Pictured here are two examples, the Dwarven ‘War Eagle’ fighter and the same nation’s Vulture Bomber with its pilot and observer. Spectre had several new packs of 28mm figures available for sale, including some UK Special Forces. The six miniatures here represent an SAS Counter Terrorism Assault Squad, ready to use force to enter a defended location. Armed and equipped for every eventuality, they wear masks to deal with smoke and gas. 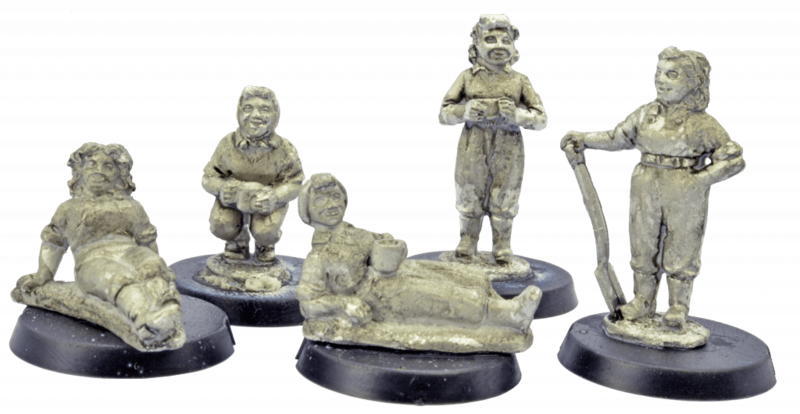 Amongst a raft of new and upcoming releases are these Women’s Land Army having a rest after Digging For Victory. 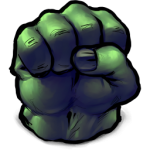 There are a number of other packs available or coming soon that not only celebrate the contribution of these Home Front heroes but also help to defend the nation from invasion. Designed for a whole host of gaming experiences, the 7TV rules system allows you to field all manner of strange and disturbing beasts. The most recent to be added to the range is this Death Worm, a terrifying creature that is poised to launch and assault upon the player characters. 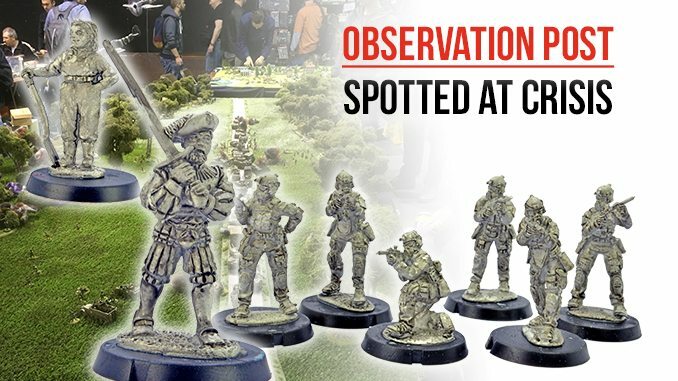 Our favourite ‘spot’ was the chance to meet up with the owner of Heer46, purveyor of pewter and resin miniatures that cover many aspects of the historical and alternate versions of World War Two. The German infantry are in Winter Smocks and other equipment for the Battle of Kharkov in 1943 but could also serve for most Wehrmacht troops up until the end of the war on the Eastern Front, or perhaps beyond. For those looking for some post-1945 equipment, the ‘Paper Panzers’ that were planned to be fielded if the war had continued, then look no further. One of these is the Kätzschen with 7,5 cm Stummel in 1:56 scale, produced in sturdy resin. Many of these miniatures and vehicles are available in a number of different scales. Heer46 is a small company with big plans and is rapidly becoming the best place to visit for so many seeking specialist and unique items.